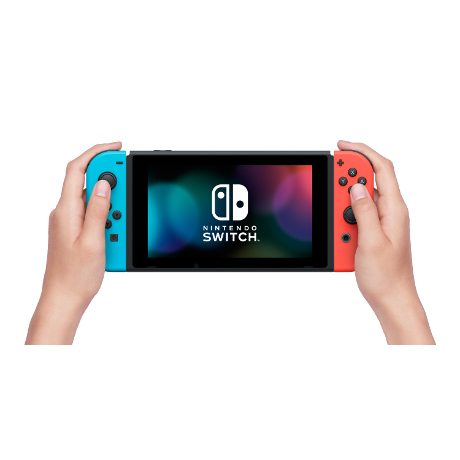 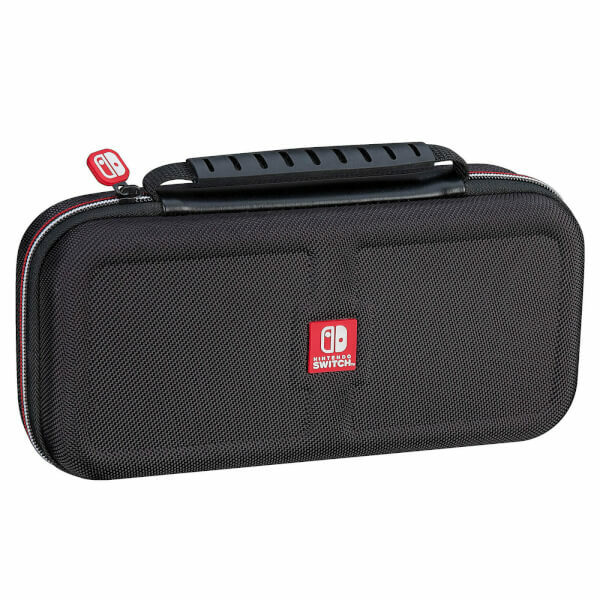 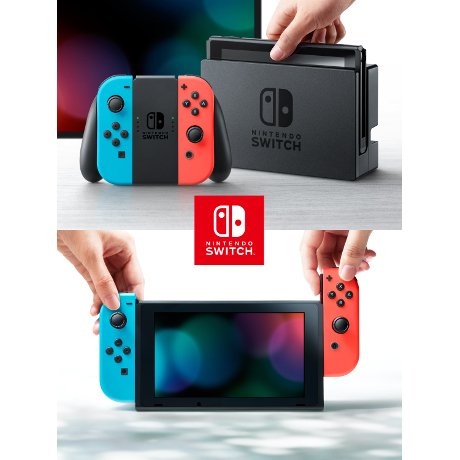 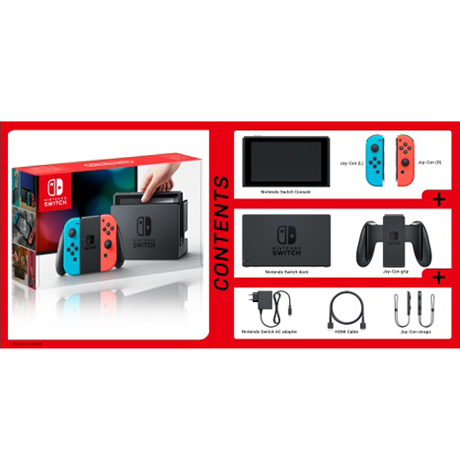 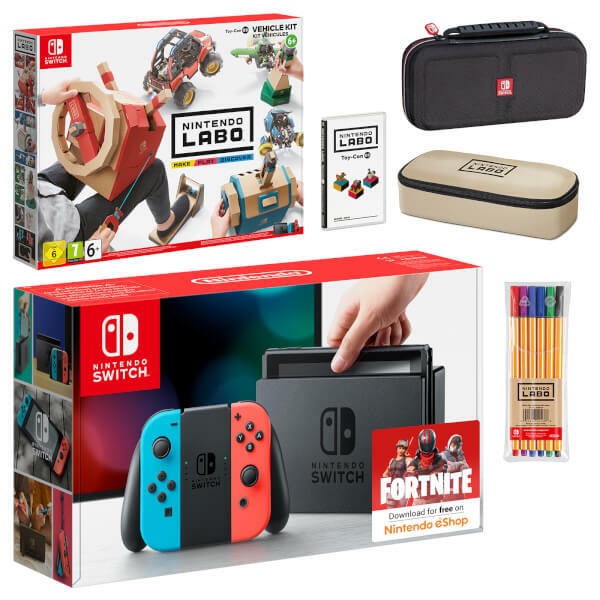 This Star Bundle includes a Nintendo Switch console with Neon Blue / Neon Red Joy-Con Controllers, the Nintendo Labo Vehicle Kit, a Deluxe Black Nintendo Switch Travel Case and the Nintendo Labo Marker and Pencil Case set! Build Toy-Con creations with step-by-step instructions. 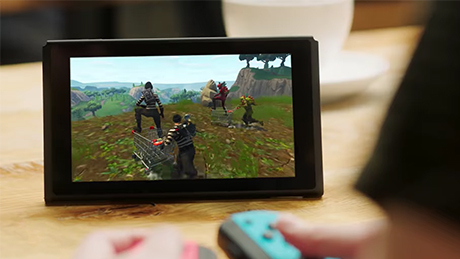 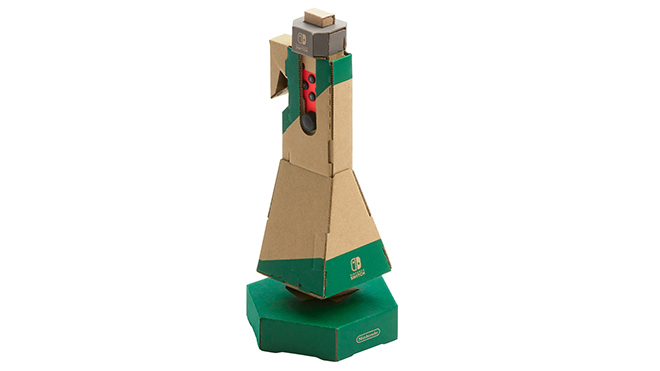 Combine Toy-Con creations with Nintendo Switch to play in entirely different ways. 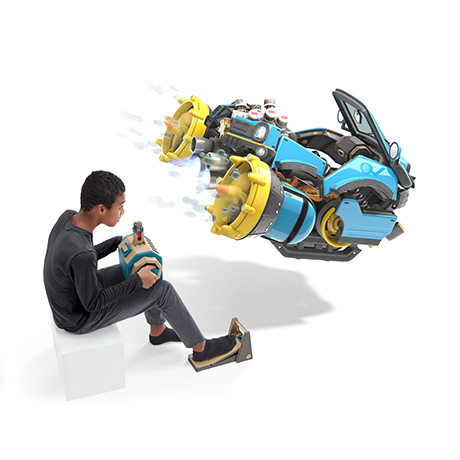 Explore how the mechanics work as you build and play with your Toy-Con creations! 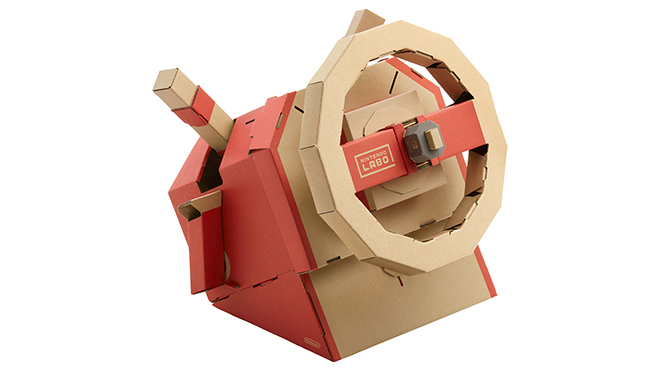 Introducing the Nintendo Labo: Vehicle Kit, the newest addition to the Nintendo Labo family! 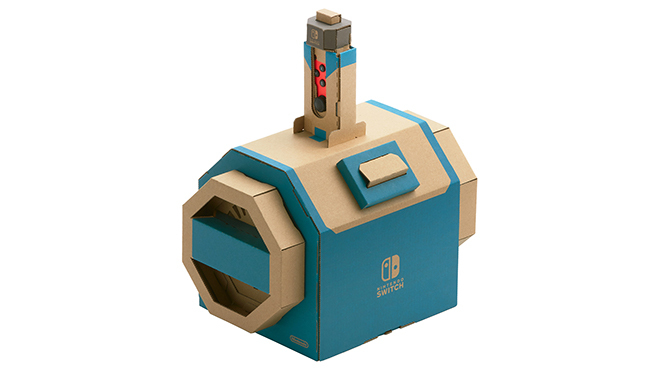 Containing the Toy-Con Key, Toy-Con Pedal, Toy-Con Car, Toy-Con Plane and Toy-Con Submarine, you will be able to go on a spectacular journey by land, sea or air. 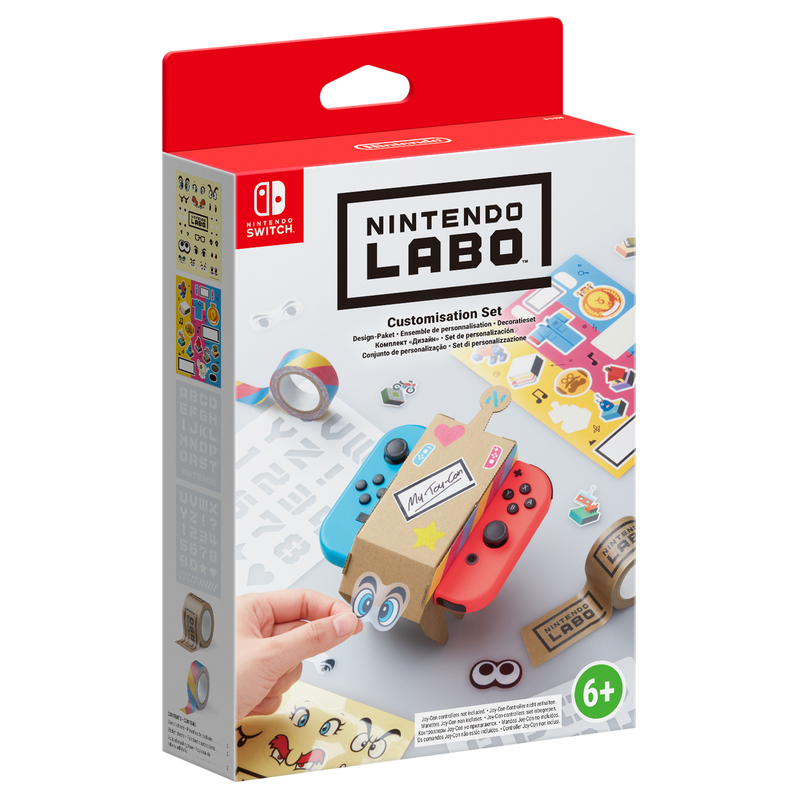 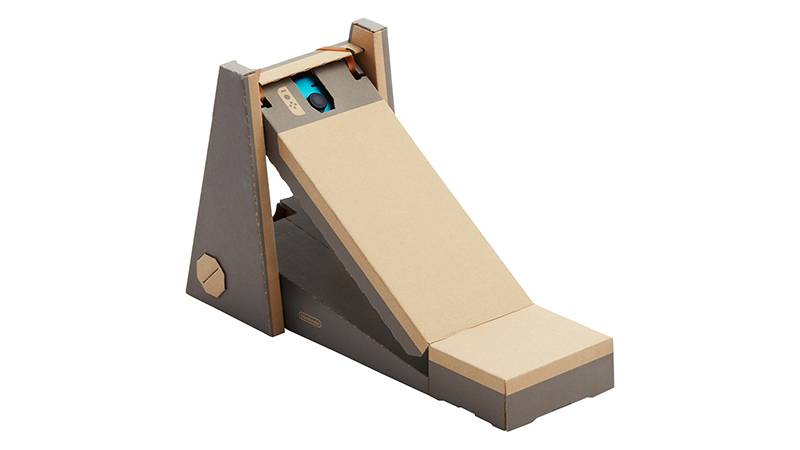 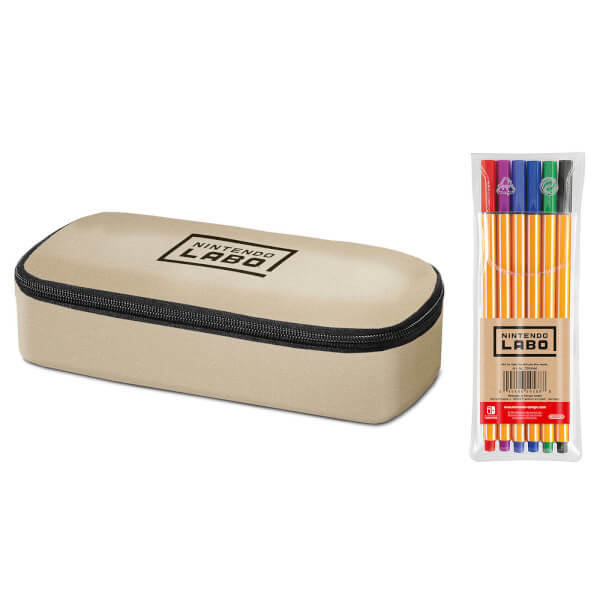 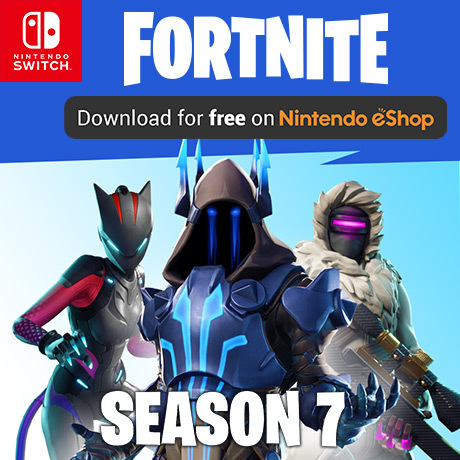 Following the simple and intuitive step by step guide on the included Nintendo Labo software and you will be up and running in no time. 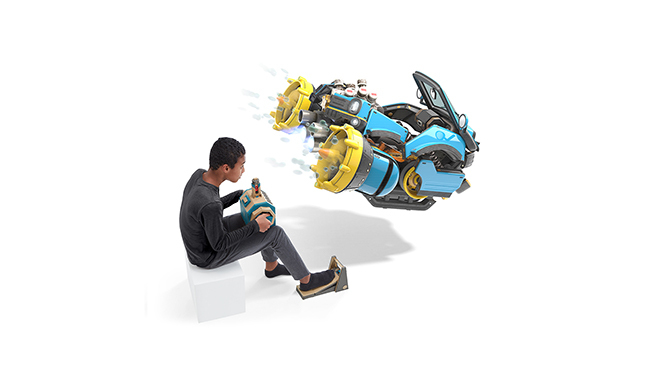 Change on the fly to suit your playing style, simply swap your Toy-Con Key into a different Toy-Con controller and watch as your on-screen vehicle morphs into the new one, creating a seamless transition to your chosen method of transportation. 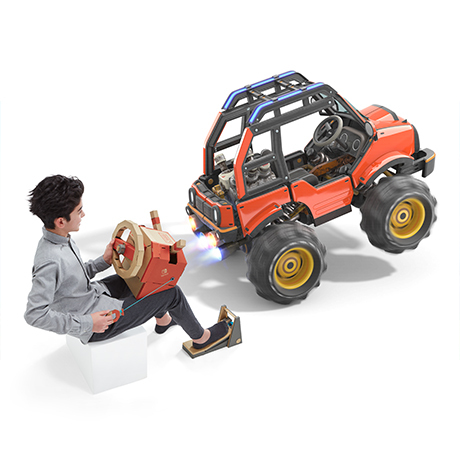 Drive: Get behind the Car Toy-Con steering wheel of your 4x4 as you cover different terrain, off-road in the desert or forest and even go into cities. If things feel like they’re going too slow, pull the cord to get that quick boost you need! 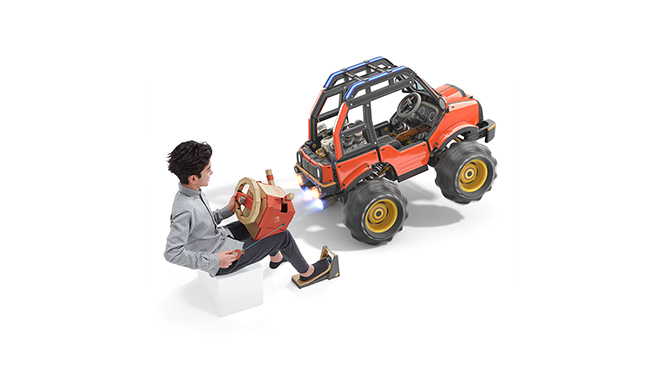 Don’t forget to fuel up for the long haul! 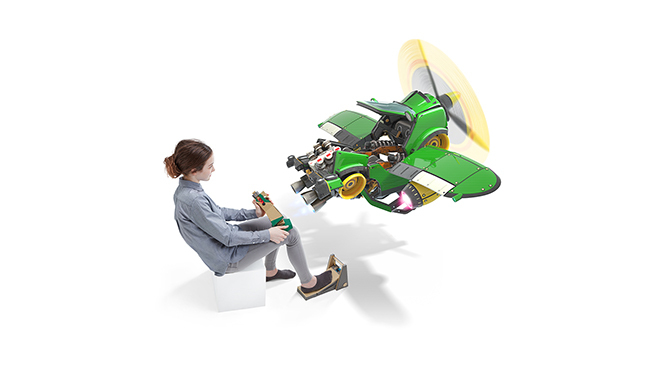 Fly: For all Mavericks, create your very own flight joystick for the Plane Toy-Con; and take to the skies and experience a birds eye view of your surroundings while flying through the clouds. 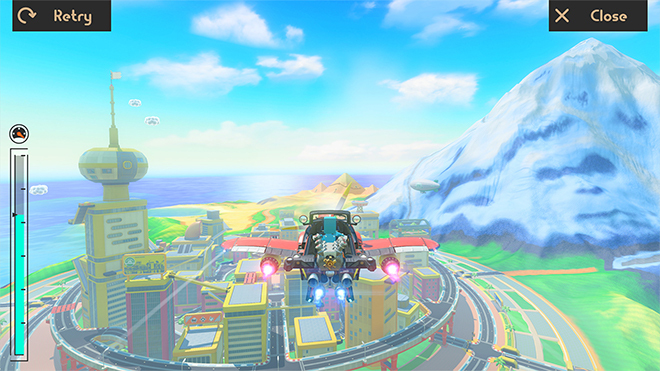 You can fire rockets from your plane, be sure to stay on target!! Dive: Build the Submarine Toy-Con and submerge yourself as you search for treasure beneath the waves and explore the hidden kingdom beneath the sea. 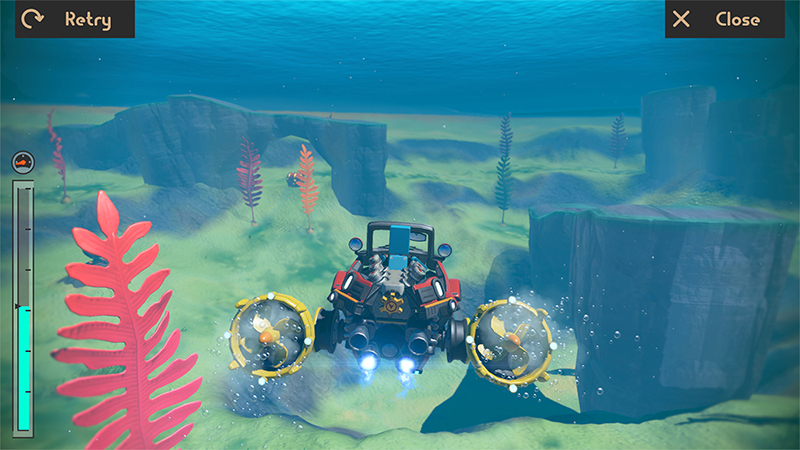 Use your grappling hook to get those treasure chests in hard to reach places! 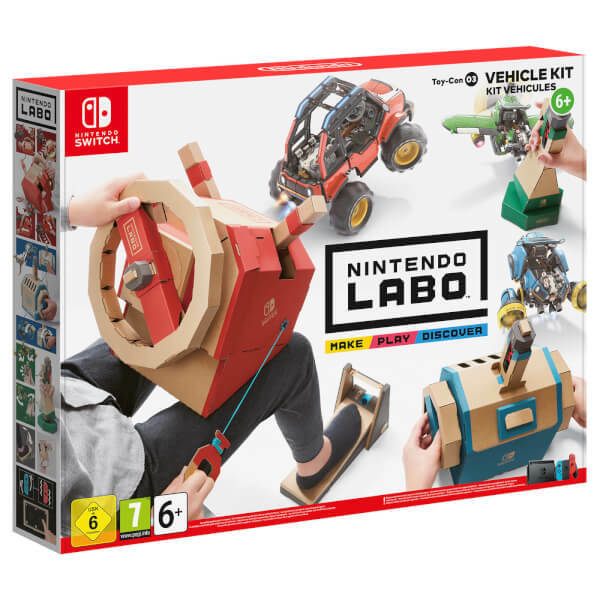 Feel like you’re really in the driver’s seat by using the Toy-Con Car, Pedal, and Key from your Nintendo Labo: Vehicle Kit! 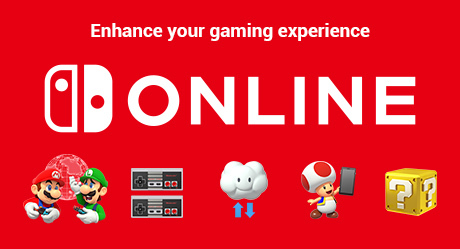 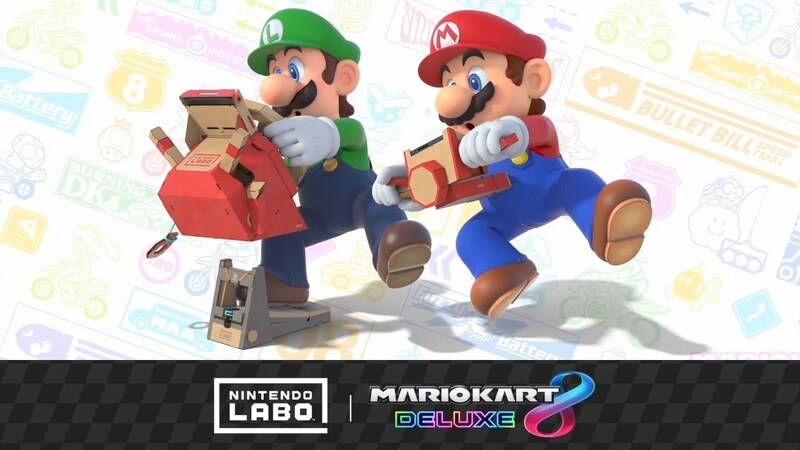 Control your in-game vehicle in the Mario Kart 8 Deluxe game, just select the Nintendo Labo icon from the Mario Kart 8 Deluxe game menu to get started once you’ve downloaded the latest software update. 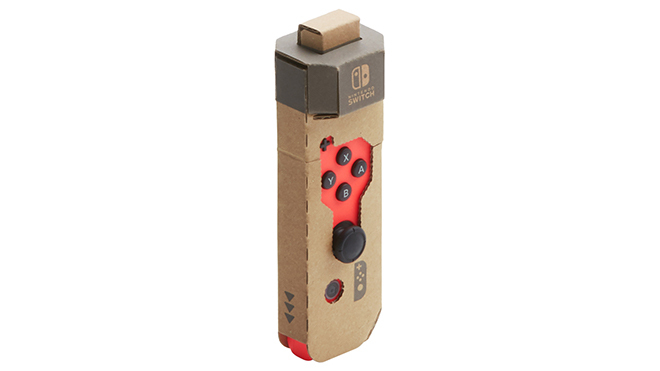 Warning: Do not expose Nintendo Labo to fire, high temperatures or direct sunlight as doing so could result in injury or damage. 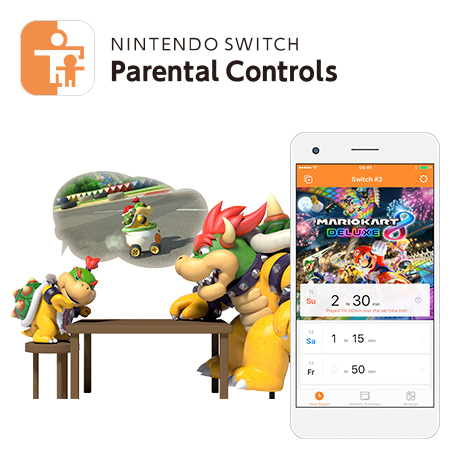 Adults should supervise the use of this product by children. 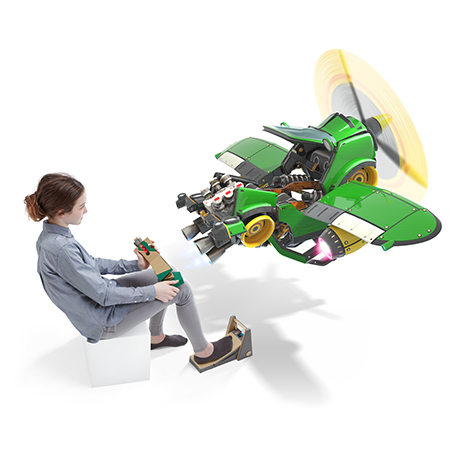 Build new Toy-Con creations and use them to drive, dive and fly into new adventures. 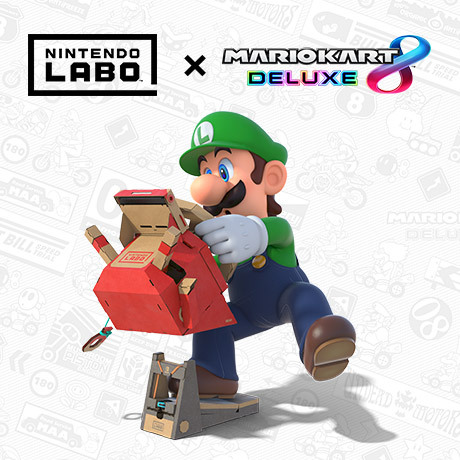 Discover a new way to play Mario Kart 8 Deluxe with Nintendo Labo: Vehicle Kit.